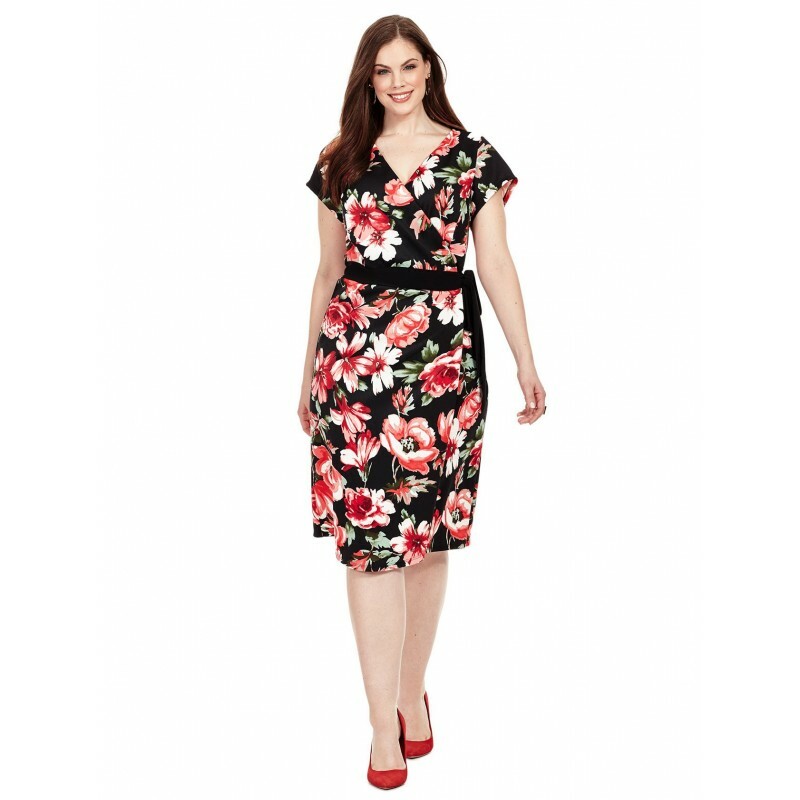 Stretch-jersey wrap dress with surplice V-neck and short sleeves, stretch fabric, banded waist with self-tie belt, allover floral print, partially lined. Shoulder to hem length: 43” (from size 18/20). 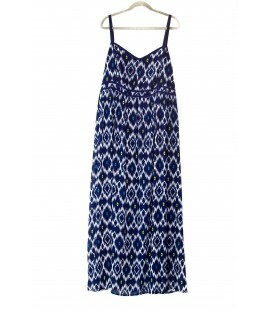 The vibrant colors and prints of this stunning plus size maxi will steal any scene. Its curve-cinching, set-in waistband and an airy silhouette make this dress feminine and glamorous. Finish the outfit with stacked bangles and black heels.